Guess who's coming to dinner? Or in our case, our weekend cocktail parties and open houses! 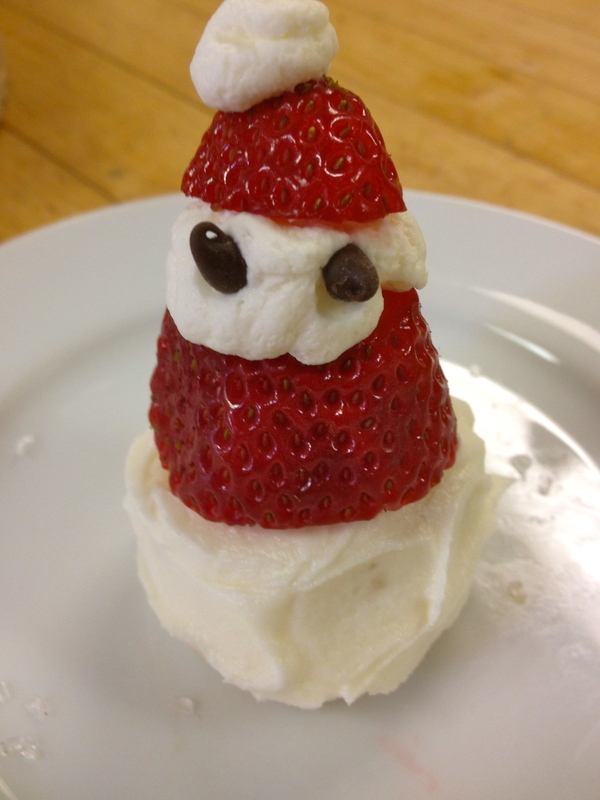 This strawberry Santa is sitting on a “snow” cupcake and ready to be the star of the evening. Posted on December 7, 2012 by Loree Ogan.